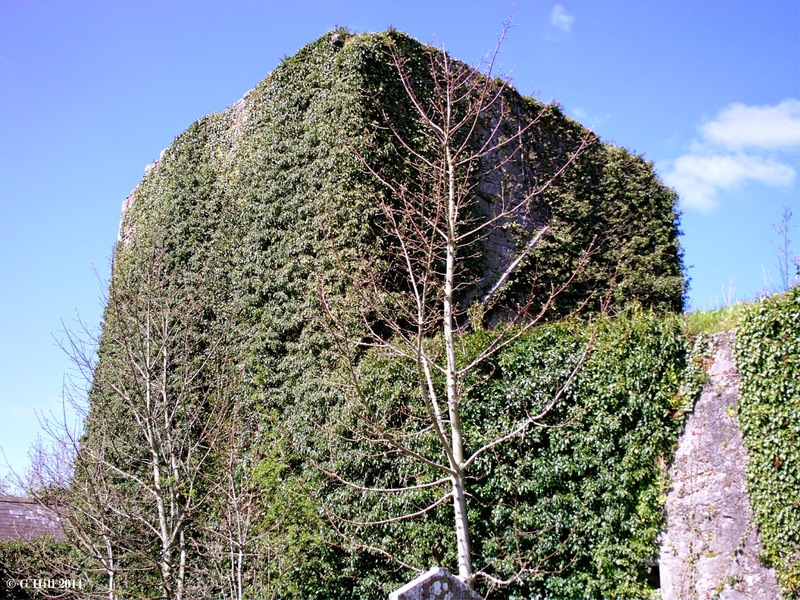 A guide to the best and sometimes off the beaten track historical ruins around Ireland and how to get there. 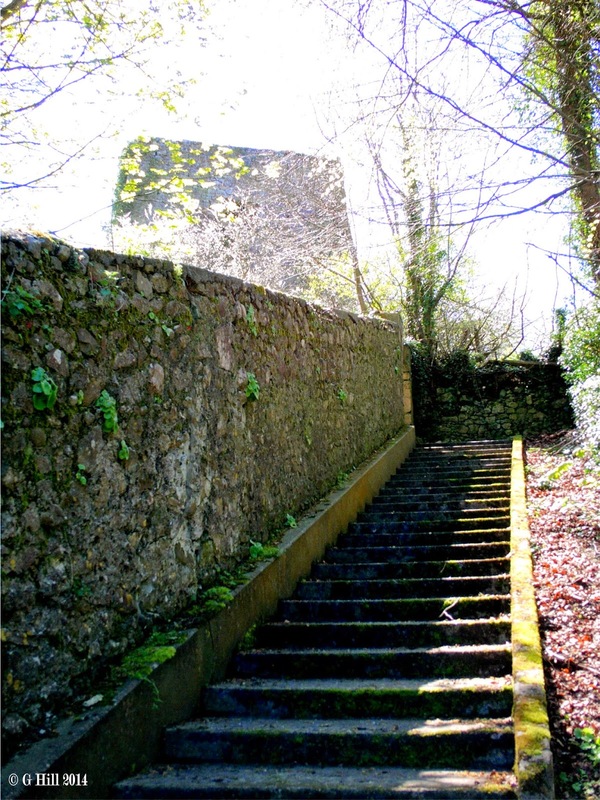 Image Below: The steps leading to the entrance. Above Image: Church ruins forefront with tower behind. Above Image: The Church entrance. Above Image: Interior with tomb. Above Image: Outline of former Church roof. Above Image: Roadside view. Steps to the right. A little out of the way this one. 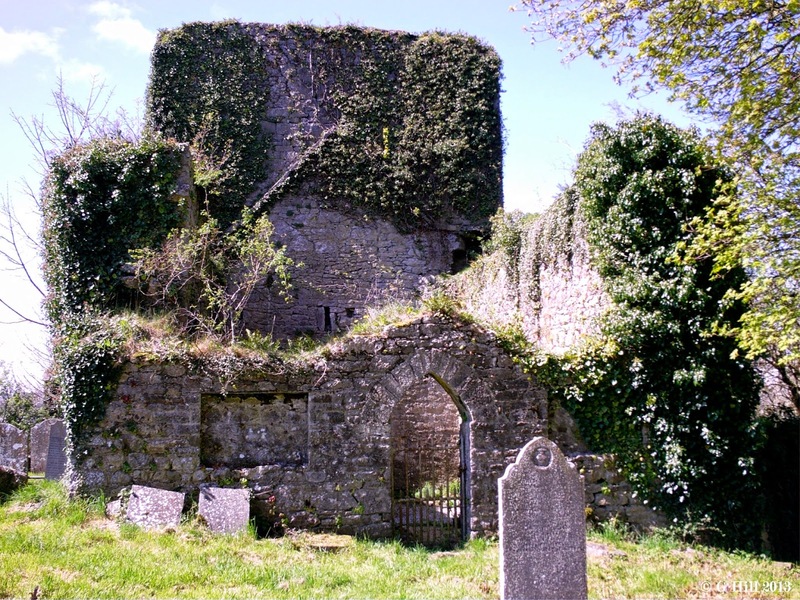 Situated in the parish of Odagh in Co Kilkenny this is a medieval parish church with an added fortified tower. The tower was once one of three defending the Nore river the other two now being non-extant. 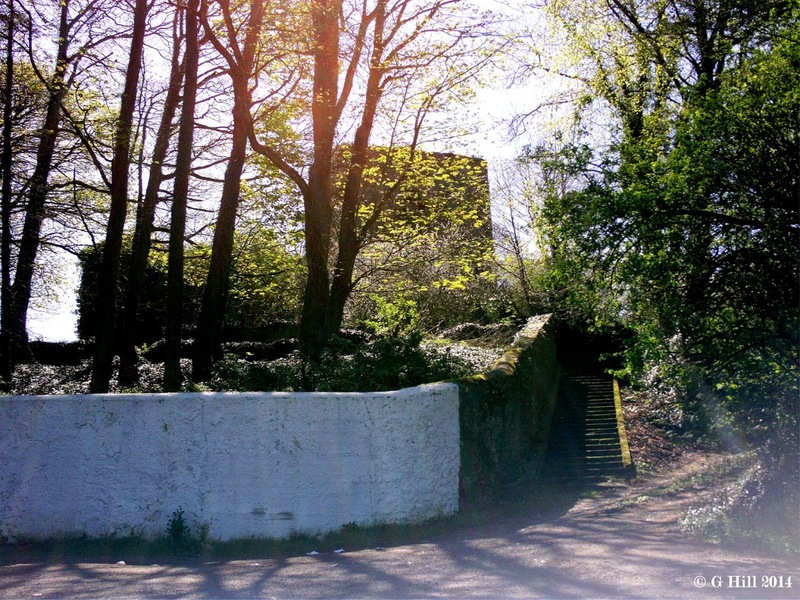 The ruins are surrounded by a graveyard of which access is by a flight of stone steps that leads up from the road. Above you the tower looms beyond some trees. A gate at the top of the steps is the entry point. The feeling on this first visit was of entering a secret garden. The graveyard seems partially maintained although it is quite secluded from the road. 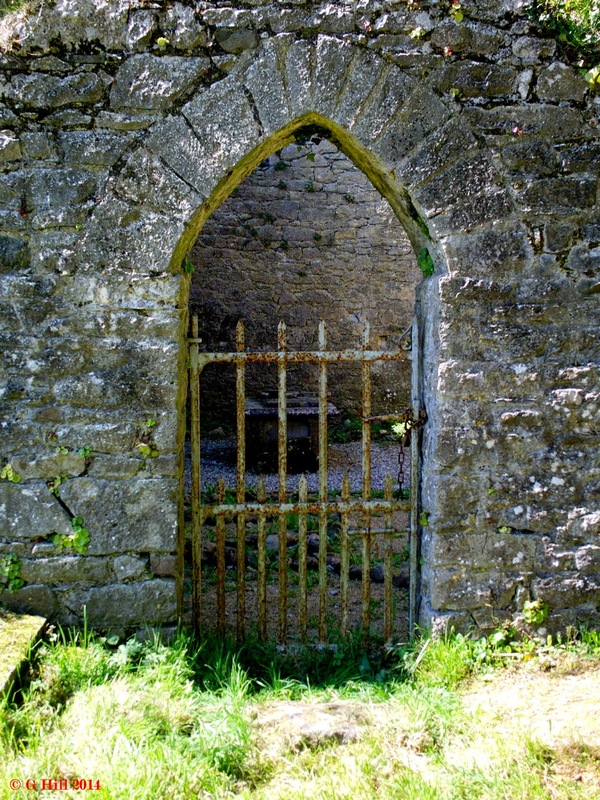 The Church section has an arched doorway which remains locked with some very finely sharpened tops to the vertical bars in the gate that would impale anyone attempting to climb over. 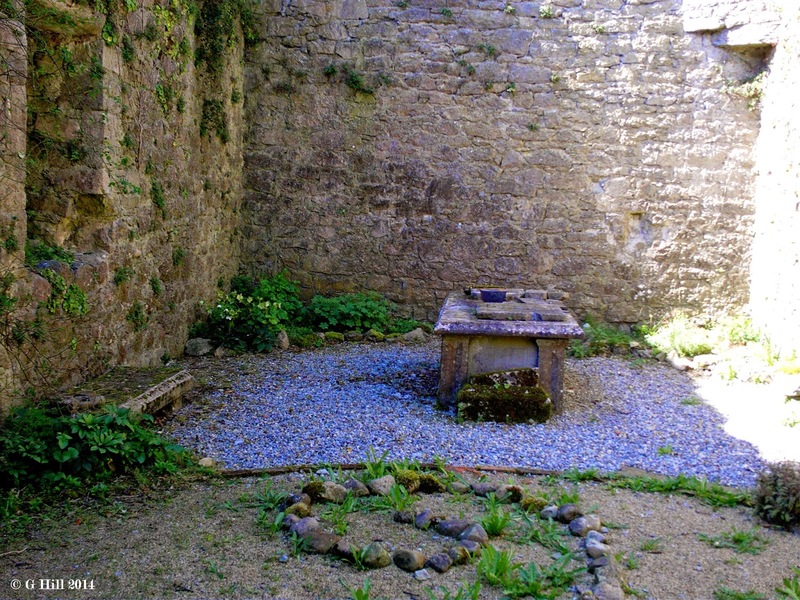 Inside, the ground of the church appears to have been adapted into a sort of decorated courtyard. In any regard there is no need to gain access as you can see all there is to see through the gate. There appears to be a tomb within but it's hard to make out any detail from the gate. You can see where the original roof met with the fortified tower by the apex shaped remains. 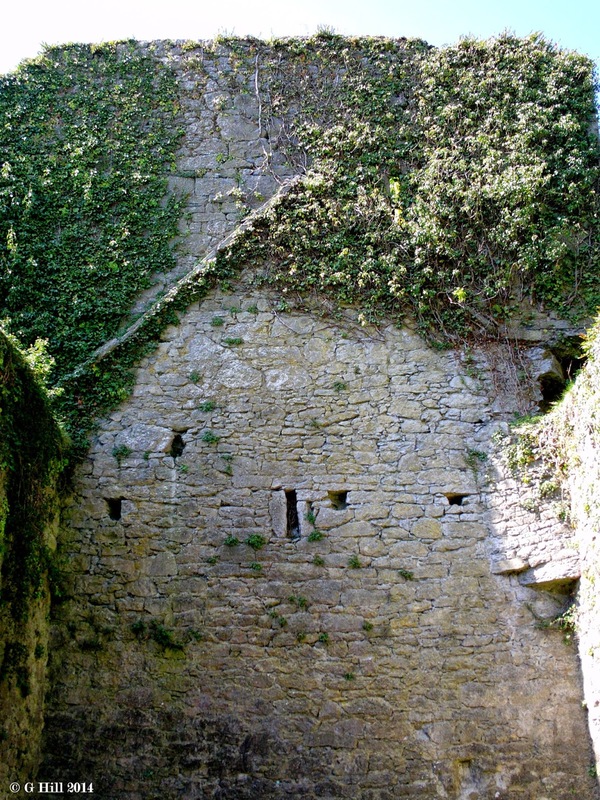 It looks to have been a small Church and why it was important enough to be attached to a tower is a mystery. The nearby Three Castles demesne was the seat of the Ball family who may have been descendants of the Norman "Balles" of Northamptonshire. Perhaps they may have had some involvement with the Castle & Church site. The tower consists of two upper storeys over a vaulted ground floor. Access to the tower is prohibited by a high wall topped with barbed wire. There is a definite air of No Trespassing here which was a bit disappointing. Nonetheless this is an interesting ruin in a bucolic setting. 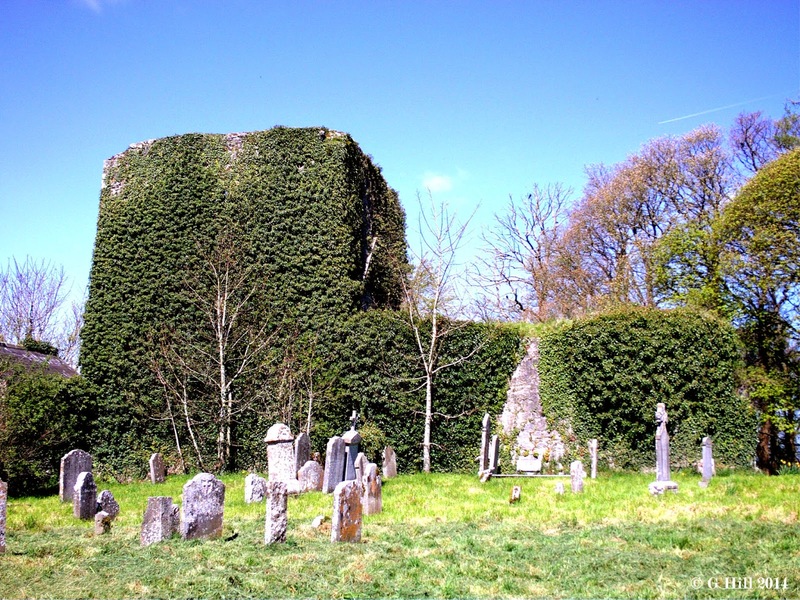 To find the ruins take the N77 heading North from Kilkenny City towards Durrow. About 3KM out of Kilkenny you will reach a roundabout. Take the first left exit signposted for Durrow. Drive for approx. 2KM until you see a white gabled house facing you on your right and a left hand turn for Freshford. Turn left here and approx.1KM along the road forks. Take the left hand road and drive for approx. 600m. You will cross a stone bridge over the Nore river. Just past this the road curves to the right. Park at the wall and gate on the curve. 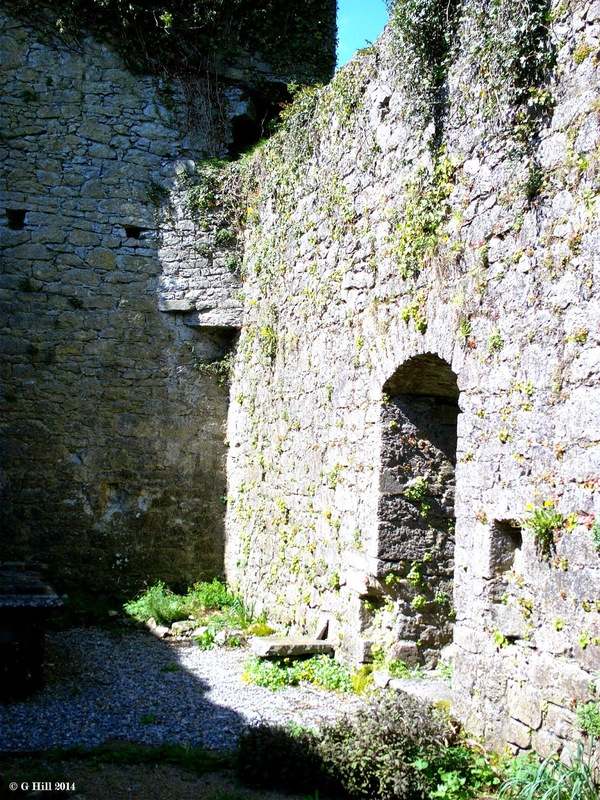 The steps leading up to the ruins are at the end of the wall on the right. Our family originated in Threecastles, and we travelled there in the spring, 2015. We were fortunate to gain access to the grounds and walk through the Church and Castle. A moving experience to step where so many had gone before and to ponder the times when it was built. 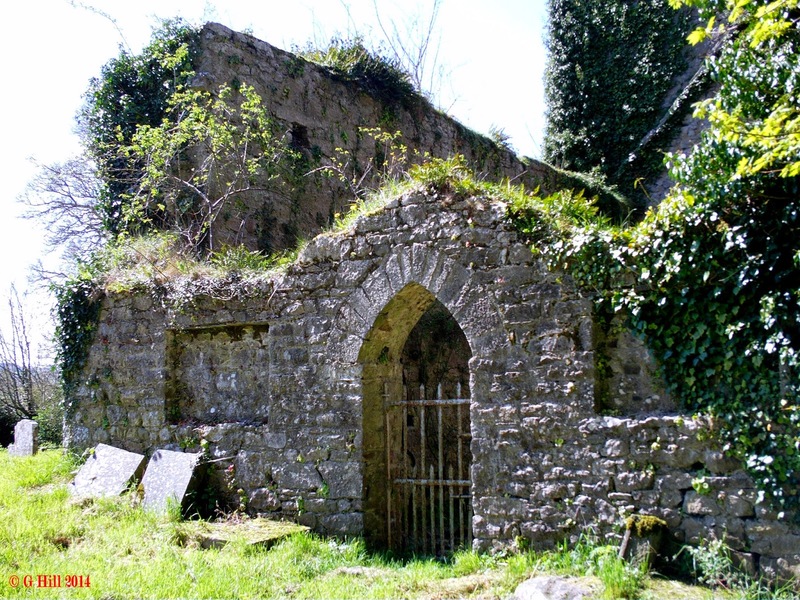 It seems my 2nd Great grand father John Lawlor was from Odagh, Threecastles, County Kilkenny. Would be great to see if there are any relatives still in the area. Regarding the last comment.....in the nearby village/town of Durrow there are still businesses running and called "Lawlors"....must be the same family. From what I can see on Google Maps, I think the bridge is to the east of Three Castles over the river Nore. It is still there. Have a look on street view.